A fiber optic connector allows you to join optical fibers together. The device is placed at the end of the cables, essentially combining and precisely aligning the cores of the fibers so more light can properly pass through. Using fiber optic cable connectors eliminates the need for splicing wires, which is a time-consuming and tedious process, especially if you frequently need to connect and/or disconnect the cables. 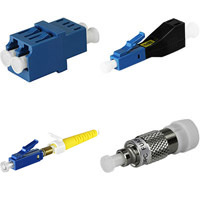 Regardless of the version you choose - single-mode or multi-mode fiber optic connector - a good-quality optical fiber connector will be inexpensive, easy to install, easy to use, reliable, and will have low insertion loss, low return loss, and low environmental sensitivity. 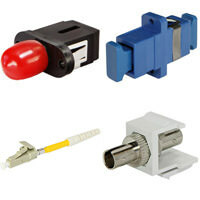 Overall, the connector will make it easier to connect and disconnect the cables in your network without splicing or other difficult measures.